Sober Look: Fed lowers mortgage rates without "printing money"
Fed lowers mortgage rates without "printing money"
The Fed remains in a holding pattern. Just as comparison, take a look at the pace of MBS purchases during QE1 in 2009 versus the current pace of expansion. 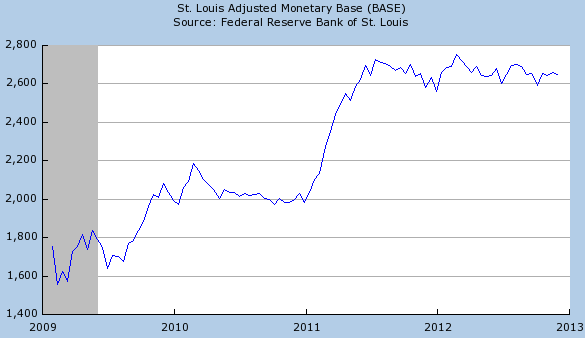 ... and so is the overall monetary base (effectively no new base money has been created since the start of the QE3 program). 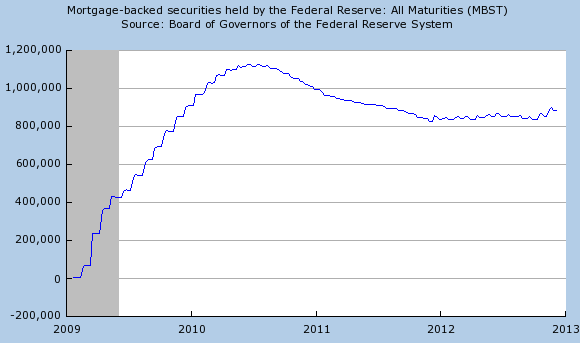 Just the "threat" of open-ended MBS purchases by the Fed has created demand for agency MBS (see discussion), pushing MBS yields to new lows. 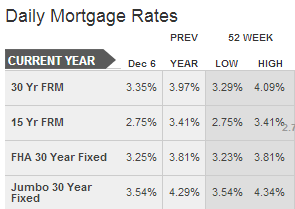 That in return has sent mortgage rates to record lows as well. 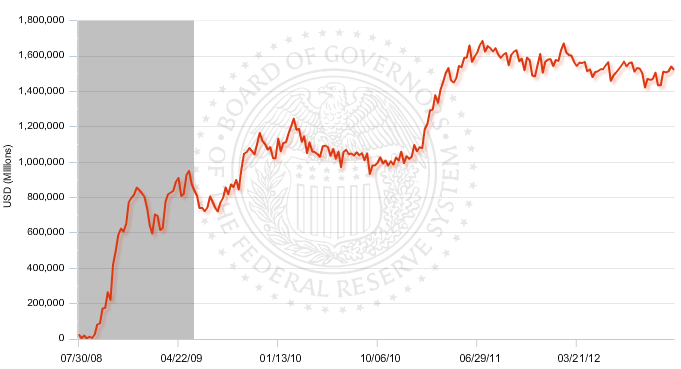 In fact today even as the 30y fixed rate hovers above absolute lows, the 15y fixed and the 30y jumbo both hit records. If lowering mortgage rates was what the Fed intended to accomplish with the latest monetary expansion, the central bank has succeeded. And so far they have done it without a significant change in bank reserves. 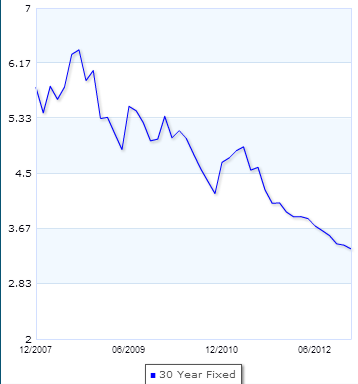 Whether this will translate into improved economic activity and job growth remains to be seen (see discussion).